The project started in 1983. It was funded and supported by the Inner London Education Authority, and was part of the teacher action research that led to the Oracy Project and the Language in the Curriculum Project. Both LINC and the Oracy projects were closed down for political reasons in 1993. Collaborative Learning survived because it is a teacher owned network. Everyone is welcome to join, and we are pleased to now have colleagues joining us worldwide. Activities to promote talk take time to make, but by sharing them, we hope to inspire others to work in similar ways. Now that talk is once again beginning to be recognised as a priority and recent research is even more supportive of its vital part to play in learning, we are slowly expanding our network and increasing the number of activities on line. We have a mountain of activities in paper form developed in the 80s an 90s. We are revising these to meet new curriculum needs and making them available. We wanted to provide interesting and creative ways for children to learn in classes, where many different languages were spoken, and where children were learning English while learning. 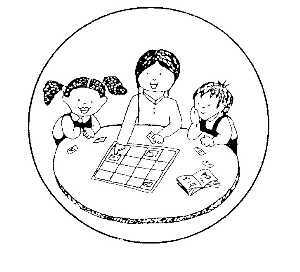 Our aim is to provide examples of group talk activities that will benefit all children, while at the same time provide scaffolding for learning English. Collaborative activities are vital for children learning English, but at the same time other learners benefit in many ways. Children new to English need exposure to visually stimulating collaborative talk activities in short sessions throughout their learning. They also need to develop good social contacts in school and these activities are designed to make sure that everybody in the classroom works with everybody else on a regular basis. Many teachers are now using the strategies for creating classrooms where first languages can be used in a similar way to support learning. We are now beginning to include these materials. The activities we make available can be used as they are, or they can be adapted to fit into your planning. We also strongly hope they become templates for your own activities. Please don't just look at the activities available for your year group or subject area. All the activities can be easily adapted to any age group or any topic. When you have developed your own versions we hope you will share them; by either sending them to us, sending us a link, or posting them on similar sites. For a more detailed analysis of collaborative learning please go to our questions and answers page. We have also provided a little A5 booklet with a summary of our aims which is best printed out because we hope you might want to use it for working with other teachers and you can also access our research and bibliography page here. 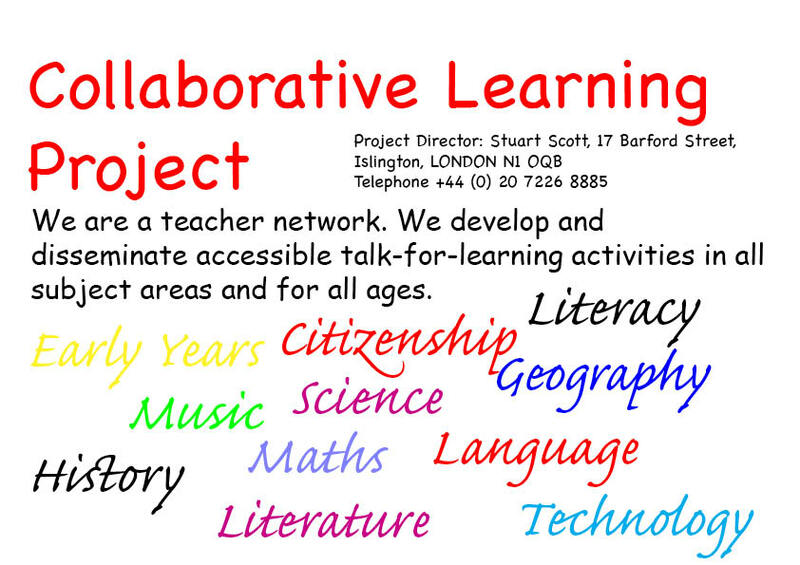 Lists of free downloadable collaborative learning activities available on the site . They cover all curriculum areas and all key stages including foundation (early years). Can we encourage you to join our network of teachers who are posting activities on this and linked sites. If you want to access the props, games and activities around picture books you need to register with us. Last updated 24th March 2014. This link will return you the homepage!